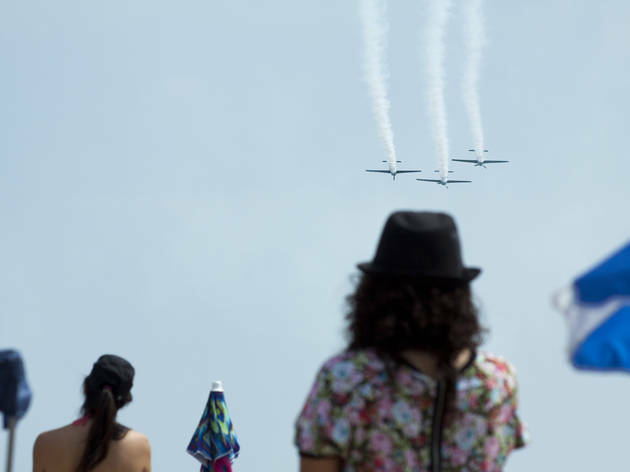 Photograph: Anthony SoaveThe U.S. Navy Blue Angels, Firebirds Delta Team and more perform aerial stunts at the Chicago Air and Water Show, August 16, 2014. 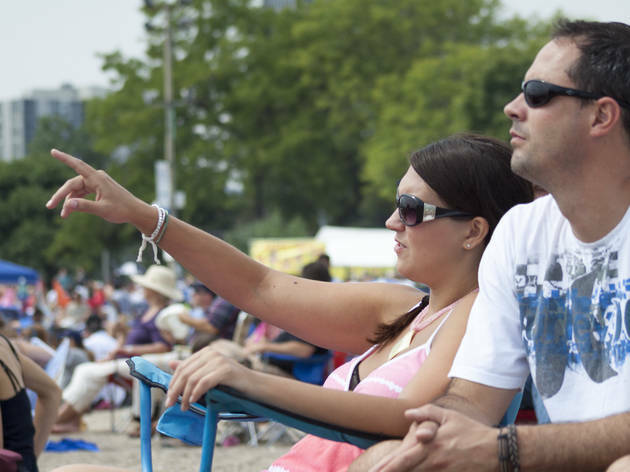 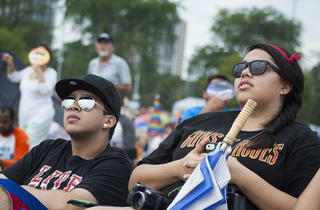 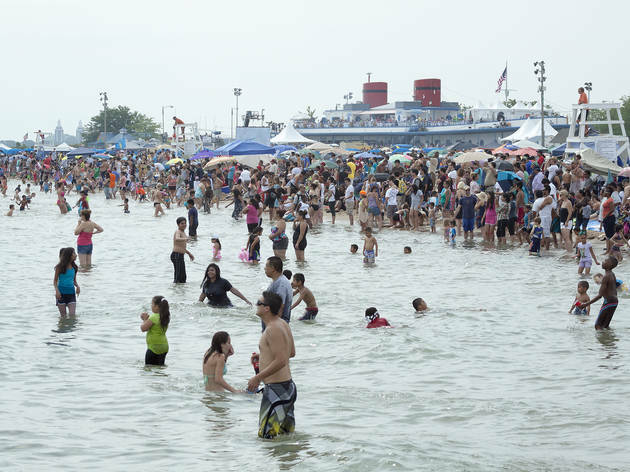 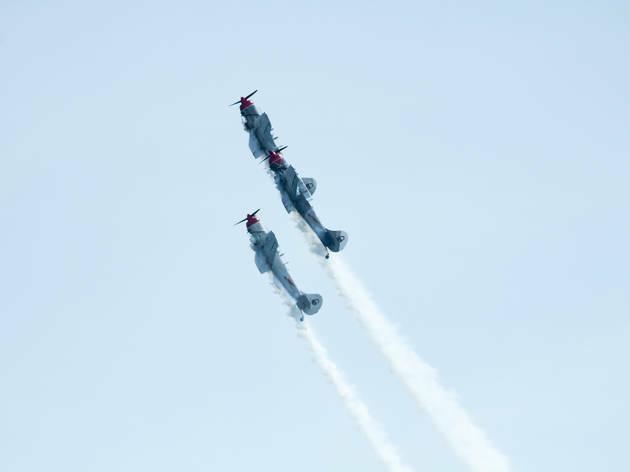 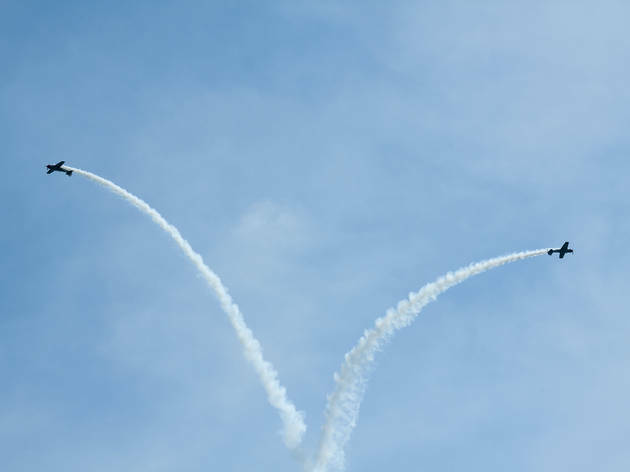 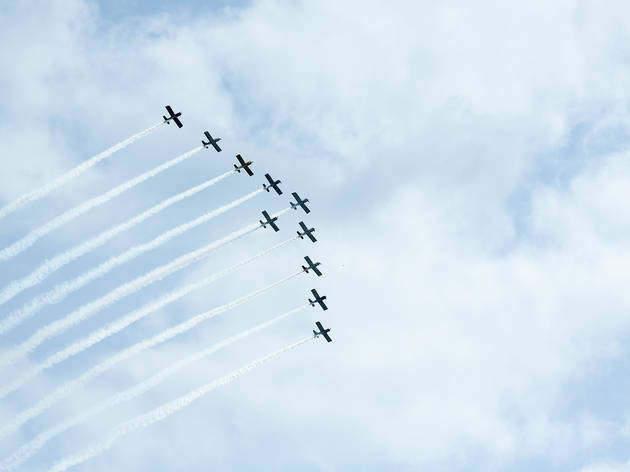 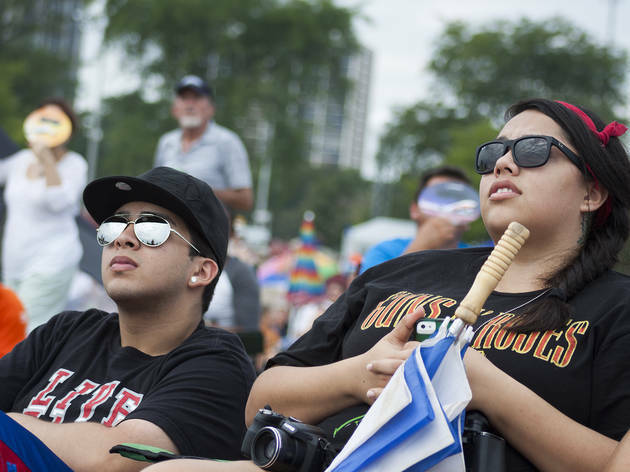 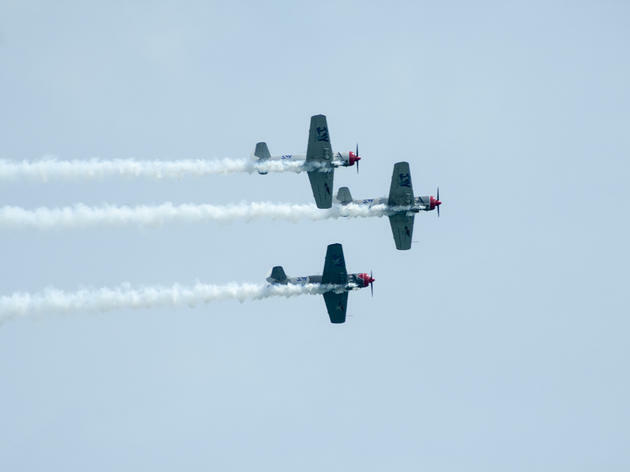 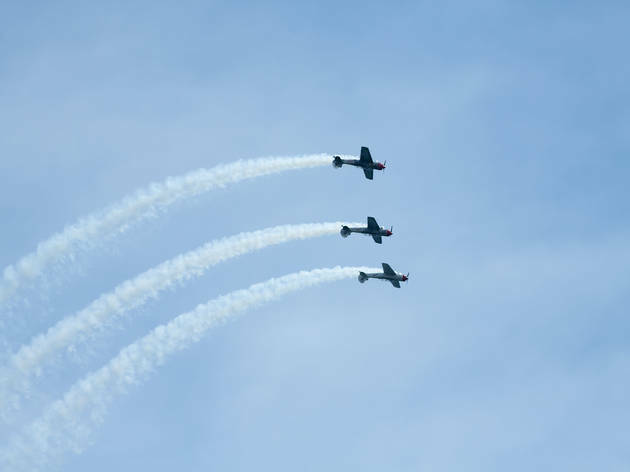 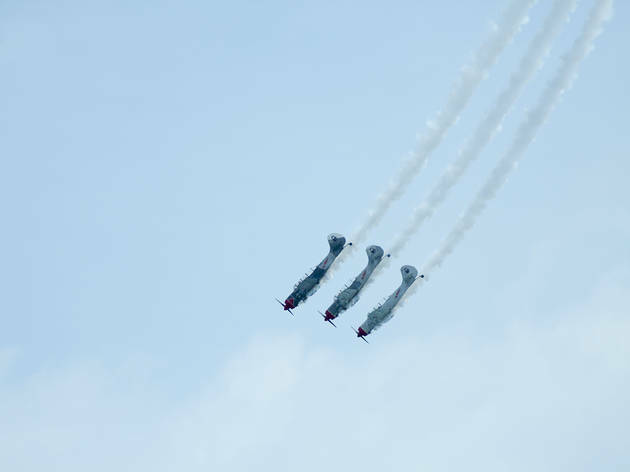 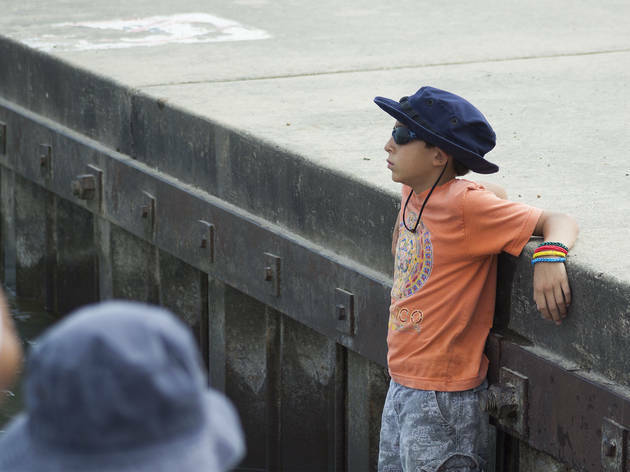 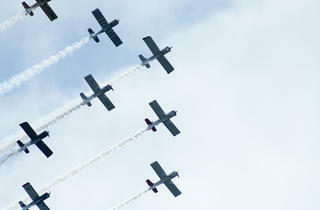 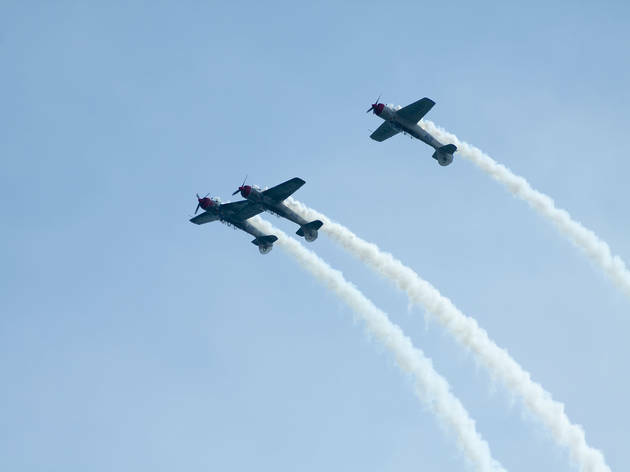 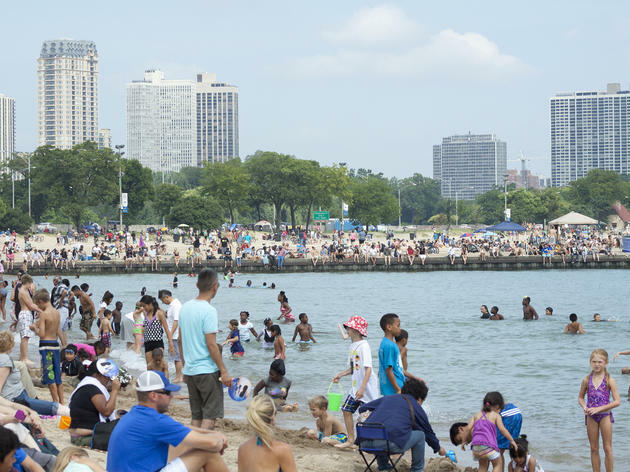 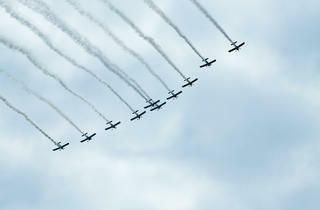 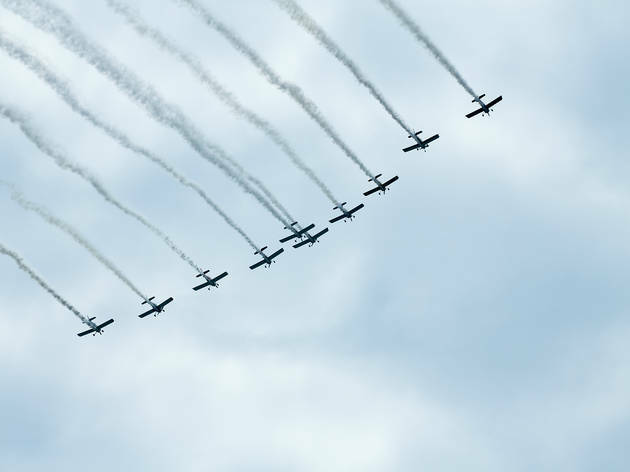 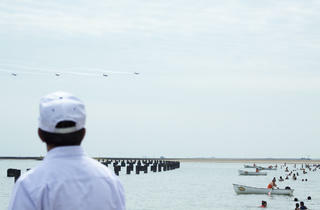 After a few days of practice flybys, planes took the sky above the city this weekend as the annual Air and Water Show returned to the Chicago lakefront. 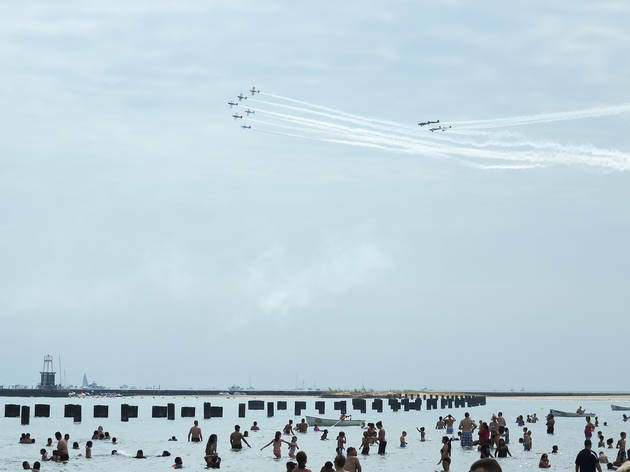 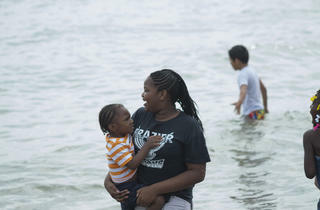 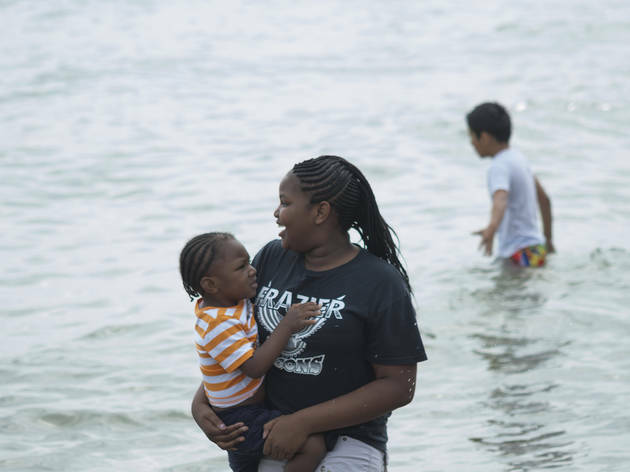 The Navy's Blue Angels zipped through tight, breathtaking maneuvers, and the U.S. Army's Golden Knights parachute team drifted down to the beach. 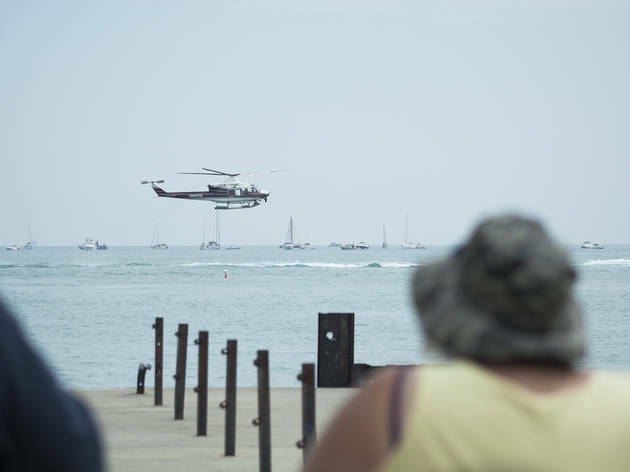 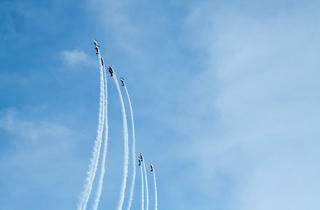 Civilian squads got in on the action too, with helicopters and planes from team Red Bull, Oracle and more. 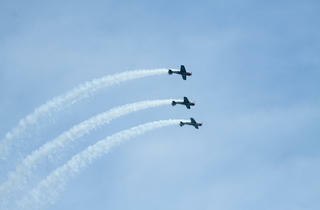 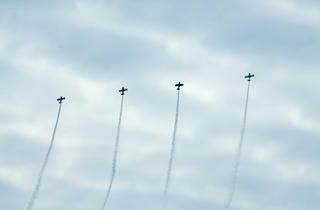 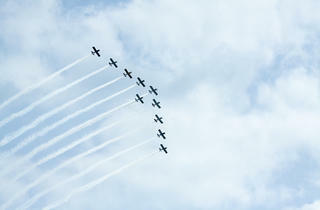 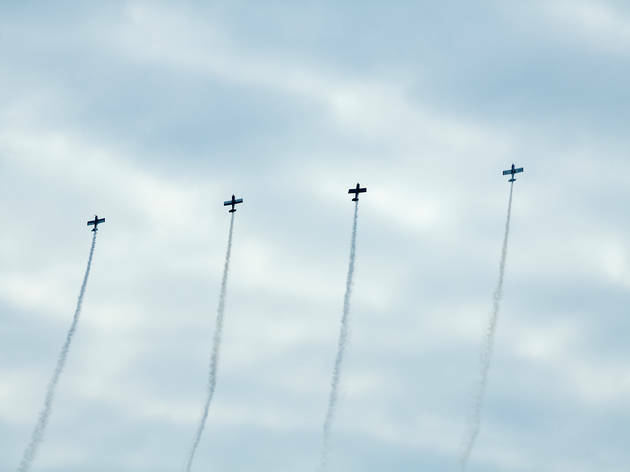 It was hard to escape the pulse-pounding stunts—you could hear the formations zooming by from Logan Square. 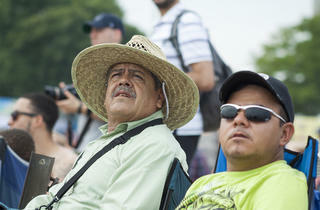 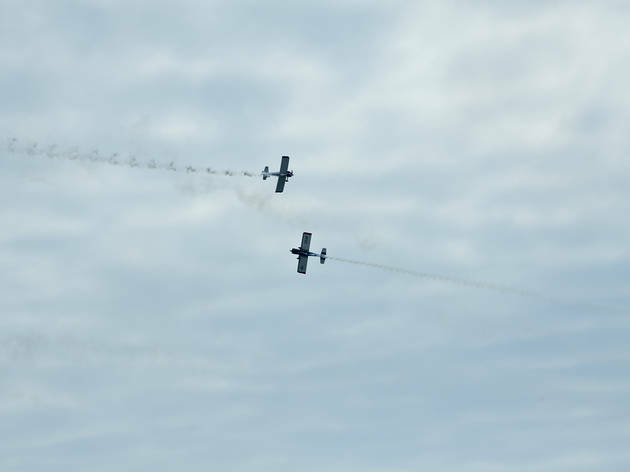 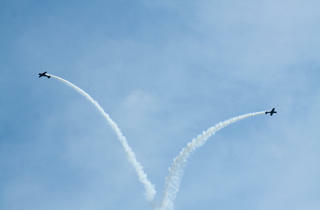 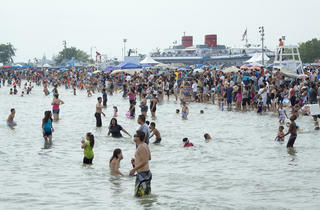 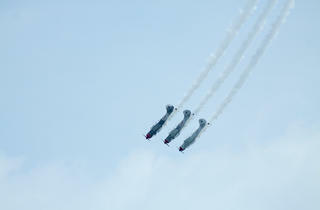 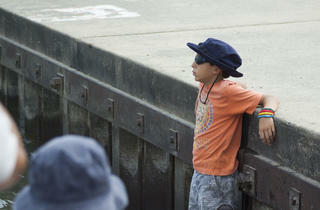 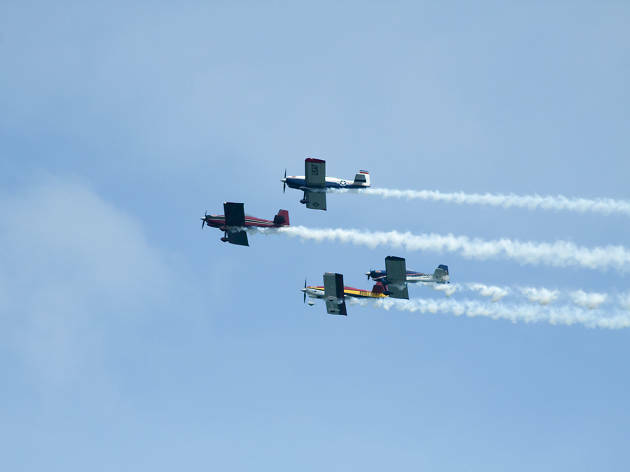 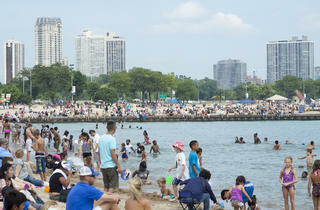 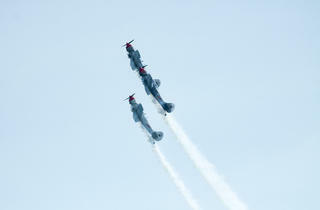 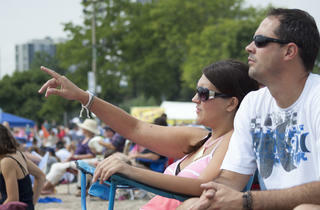 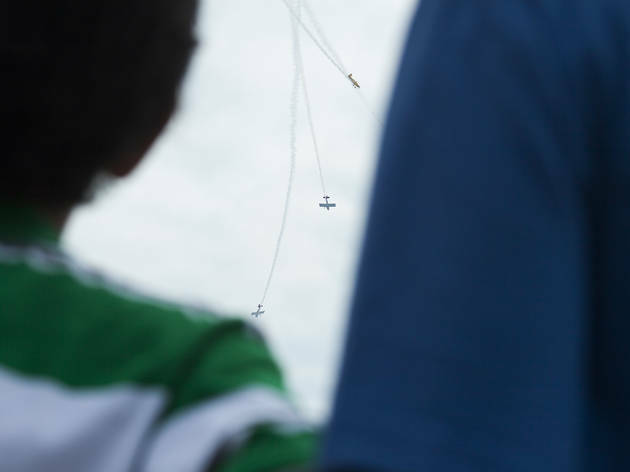 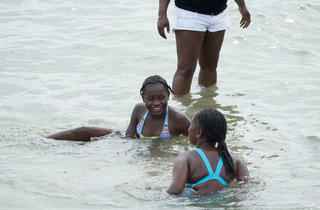 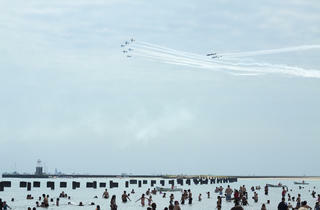 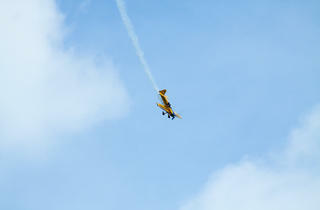 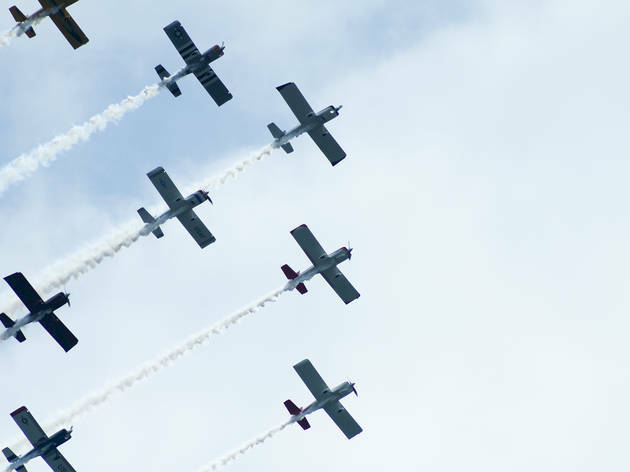 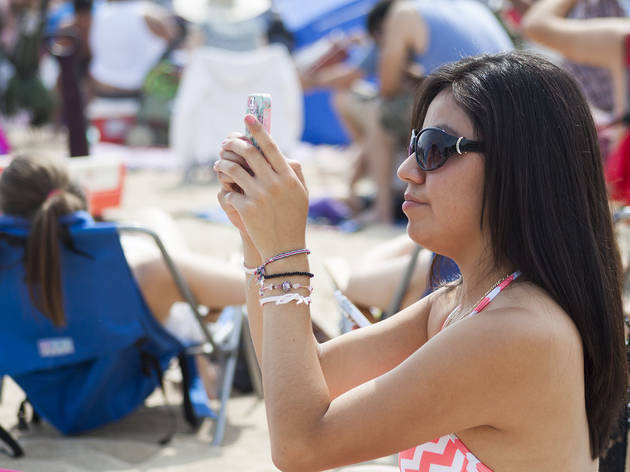 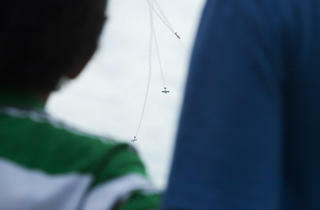 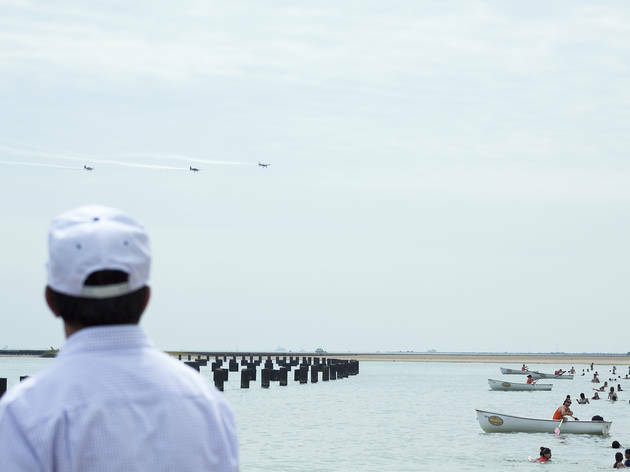 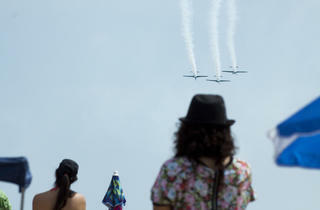 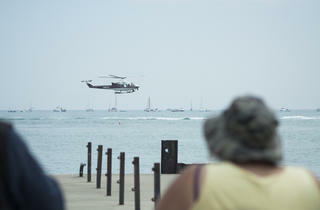 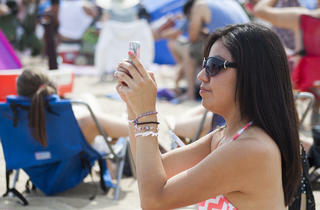 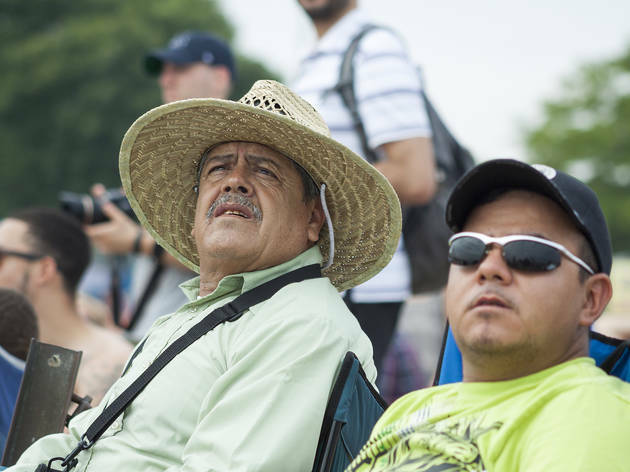 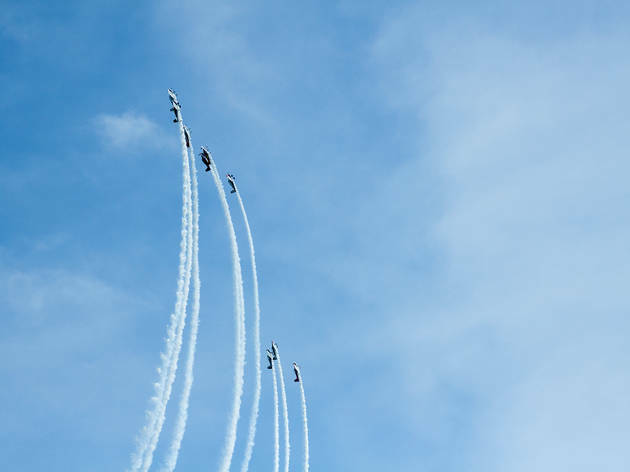 We captured photos of the August 16 action—both the sea of spectators and high-flying aerobatics.